Is office cleaning something you would like to forget about? If so, our dedicated team are waiting to help you, and at a frequency to suit your needs. We carry out daily, once or twice weekly cleans to all business premises, large or small. 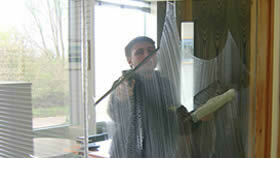 We undertake all aspects of window and fascia cleaning. Using either our reach and wash system or high level access platforms, literally no job is too big, or too high. 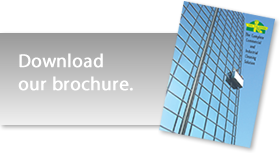 See our access solutions page for further details. We carry out all types of industrial cleaning including high dustdowns, washdowns, and high pressure washing. Our pressure washers are diesel powered and have a 500 gallon water bowser, allowing us to clean all areas without any electricity or water supply. We are able to carry out deep cleaning in high awkward access areas such as lift shafts and atriums using our own access platforms and scaffold towers.